For the better part of the Twentieth Century, the Soviet Union gave the Baltic States the Blues. Lithuanians responded by singing their traditional folks songs—and engaging in armed resistance. Sibling filmmakers Aldona and Julian Watts journeyed to their grandmother’s Lithuanian homeland, to record the Dainava region’s folksongs for posterity in Land of Songs (trailer here), which screens during the 2015 Margaret Mead Film Festival at the American Museum of Natural History. The Dainava ladies might be getting on in years, but they are no shrinking violets. Yet, they join together in song remarkably harmoniously. As in Estonia, Lithuanian folk songs played a major role in the revolution against Communism, but unlike the massive Laulupidu song festival in Tallinn (as seen in The Singing Revolution), which remains a hugely significant national cultural event, the folk singing tradition appears to be falling out of favor with younger Lithuanians. There are some eerily evocative performance by the distinguished ladies of the Ethnographic Ensemble of Puvočiai that seem to harken back to some mystical time before time. However, they cannot match triumphant emotional crescendo of the massive Laulipidu performances. Still, the film really starts to come together when they link the Dainava folk songs with the Forest Brothers resistance movement. It is pretty significant to watch and listen to the Partisan veteran code-named “Tiger” singing some of their patriotic anthems in the bunker that was once his home. The Watts (director Aldona & cinematographer-co-producer Julian) also incorporate some wonderfully striking archival photos of their subjects that really give viewers a sense of the dramatic sweep of their lives. 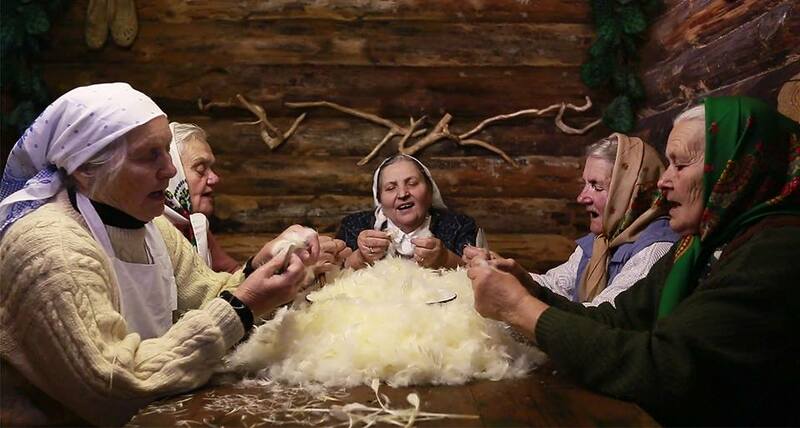 Land of Songs is a lovely film that captures the idyllic beauty of the Dainava region (a.k.a. “The Land of Songs”) and the sly humor of its residents. It offers some solid history and accessible ethnomusicology. Frankly, Land really deserves to be picked up for a national audience on PBS stations (and with its sixty minute running time, the film could easily accommodate their broadcast schedules), but for now, look for it on the festival circuit. 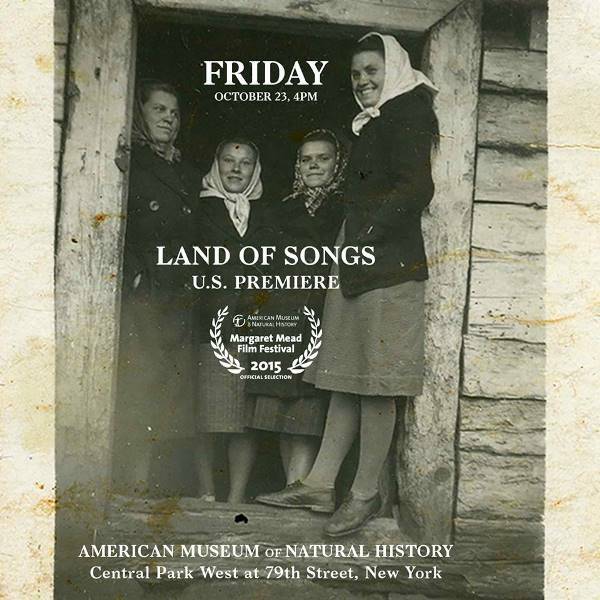 Highly recommended, Land of Songs screens this Friday afternoon (10/23) with the short doc The Ladies, as part of the AMNH’s Margaret Mead Film Festival.